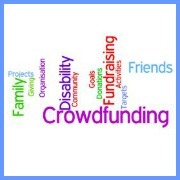 Disabled Individuals and families are increasingly finding that they have to fundraise to support their disability.........to help buy items such as an electric wheelchair, an essential communicator or a specialist therapy. 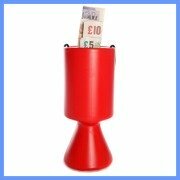 With Government cuts and reductions in charity's income, they are sometimes insisting on "match" funding or a contribution to the total amount required before committing their own hard earned cash to individual grants. This is to ensure that their funds benefit as many people as possible. Match funding is when the charity asks the family to match the donation from the charity. The charity will offer to pay a certain amount only after the family can prove they have found the remaining funds. What you want to fundraise for? How much you need to raise? And how much time you can give to your cause? Set a timescale for reaching your target - Is it achievable? Ask for help! Let all your family, friends and work colleagues know what you are doing and why you are doing it. You will need their support. If you have never been involved in raising funds before, thinking of things to do can be a daunting task. As there are so many ideas out there and resources to help we thought it would be useful to cover some of the most popular fundraising ideas to help you on your way. Do add your own contributions below as knowing what's worked for you can help others just starting on the same journey.